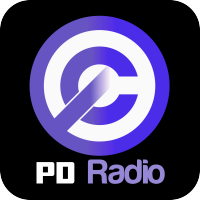 The '''Public Domain Radio''' is a Internet radio service that broadcasts free historical recordings. Mainly sound material from shellac discs. The Public Domain Radio is a service of [[Swissradio|Swiss Internet Radio]]. The station started broadcasting on 11 December 2009. The database of the Public Domain is the beating heart of the project. It contains the list of all works. The Public Domain Radio is a Internet radio service that broadcasts free historical recordings. Mainly sound material from shellac discs.